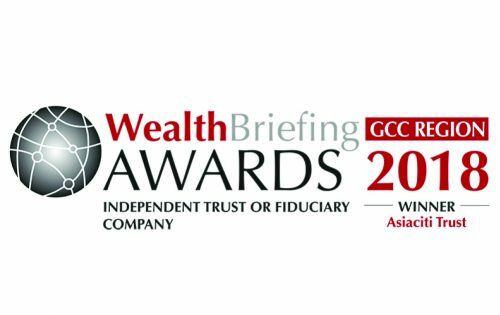 Asiaciti Trust has been named ‘Best Independent Trust or Fiduciary Company’ at the WealthBriefing GCC Region Awards 2018. This is the fourth consecutive year that Asiaciti Trust has won the accolade, cementing the firm’s position as the leading trust administration service provider in the GCC region. The panel of judges commended Asiaciti Trust for providing high quality fiduciary services across multiple jurisdictions and best in class client service.